You know that landscaping is about much more than mowing lawns and trimming hedges. It’s about beautifying outdoor spaces and creating stunning landscapes for generations of families to enjoy. It’s about creating inviting outdoor features where people can gather and make lifelong memories. That’s why for you, landscaping isn’t just a job – it’s a career. 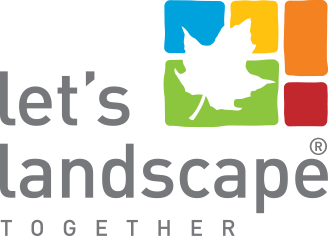 We’re Let’s Landscape Together, and we’re looking for you, our newest Landscaper, to join our award-winning team. Located in Waterdown, we’ve spent the past 22 years designing, building and maintaining landscapes across the Golden Horseshoe. We’re proud of the team we’ve built – our employees come first and feel like family – and we can’t wait for you to join us. Your main goal in this position is to work on landscaping projects at customers’ homes. We design and build features like patios, flowerbeds, gardens, walkways, pools, sheds, and more. It’ll be your job to work on these projects from start to finish. You’ll delight our customers with each job you complete. You’ll start your day by reporting to our office. You’ll gather any materials and tools you need for the day and load your work vehicle before heading to the site. Along with your crew, you’ll spend anywhere between one to four weeks at one customer’s home as you finish their project. Using tools (like wheelbarrows, shovels, rakes, skid steers and excavators) and your landscaping (or construction) experience, you’ll build beautiful outdoor features for customers. You’ll feel comfortable interacting with them occasionally, to address questions or concerns. While you build their landscapes, you’ll also build customers’ trust by being knowledgeable and confident, and by interacting with them in a professional, courteous, and friendly way. Take initiative – you’re proactive, always looking for ways to improve the way you do your work. Truly enjoy physical labour and working outdoors – you love feeling the sun on your face as your work outside. You don’t want to be stuck at a desk in an office – you want to be moving around and staying in shape. Want landscaping to be your career – we’re a well-established business, with room to grow. As you build your landscaping skills, you can progress into more senior roles. 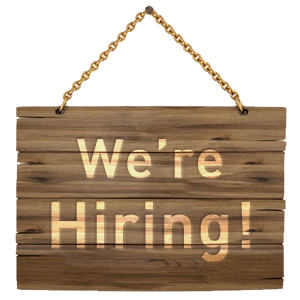 This is a full-time position. With on call work in the winter months (in the winter, our services also include snow plowing and removal). Our employees love working with us because their voices are heard, and they’re treated like family. Working here means you’ll have a say, you’ll feel appreciated, and you’ll be recognized and rewarded for your contributions. Our crews genuinely enjoy working together. We have fun on the job, while doing things the right way for our customers. We’re a team of landscape professionals who love what we do.